Now woe the wolf betide! 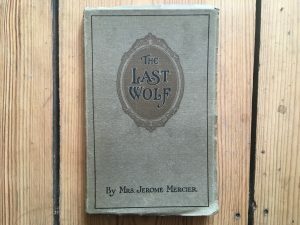 The tale was told by the Lancashire poet and author Edwin Waugh in his “Rambles in the Lake Country and itsBorders” (1861) and the story ‘The Last Wolf- A Story of England in the Fourteenth Century by Mrs Jerome Mercier (1906). This story transports its readers back to the 14th century when the Morecambe Bay sands were a highway for travellers and raiders from the North. Sir Edgar Harrington of nearby Wraysholm Tower had sworn to hunt out and kill every last wolf from his lands around Cartmel forest. He also issued a promise that the man who killed the last wolf would receive the hand in marriage to his niece. The story described the chase across the forest down past Windermere, south to the bay. The wolf was finally speared to death on Humphrey head by an unknown knight who then revealed himself as John Harrington, long-lost son of Sir Edgar who had been presumed dead in battle. 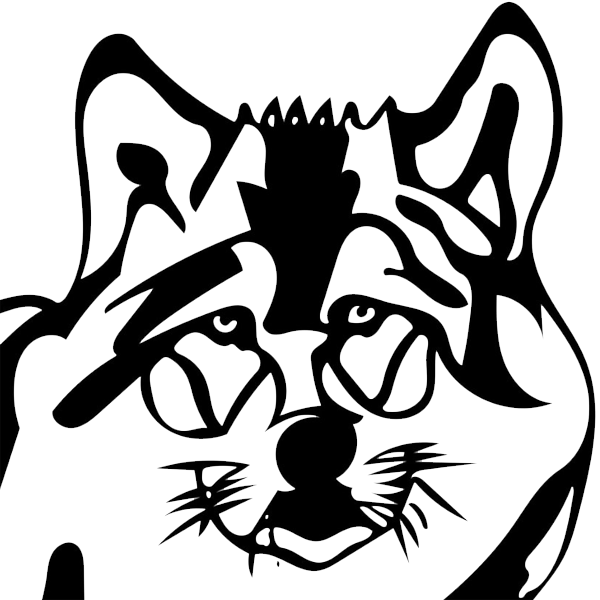 Sir Edgar is supposed to have said: “And here is our old grey enemy, the last wolf in England, stone dead”. A monk passing by the holy well at Humphrey head married the couple in a cave at Humphrey Head now known as Sir Edgar’s Chapel. The couple used the image of a wolf in their crest and are buried together in Cartmel Priory- their effigies are cut in the stone tomb with a wolf at their feet. 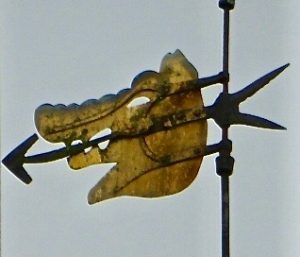 As a celebration of this story the Priory still has a weather vane in the shape of a wolf’s head. killed the last wolf in England. “One infidel is as good as another”. lurking in coughing fits of blood.